Accidentally lost photos on your Windows phone but have no idea how to find them? This guide shows how to restore all deleted photos from your Windows phone. Can I Recover Deleted Photos from My Phone? I accidentally deleted all photos from my son's birthday from my phone's SD card. It's a Windows phone 7. Is there any way I can recover them? It would mean a lot if you can help me to find deleted pictures. Thanks in advance. Photos record the meaningful and memorable moments in our lives. If you've lost photos on phone, the great news is that all your photos are stored on the SD card, not the internal phone memory. So if you still ask "Can I recover deleted photos from my Android", don't worry. 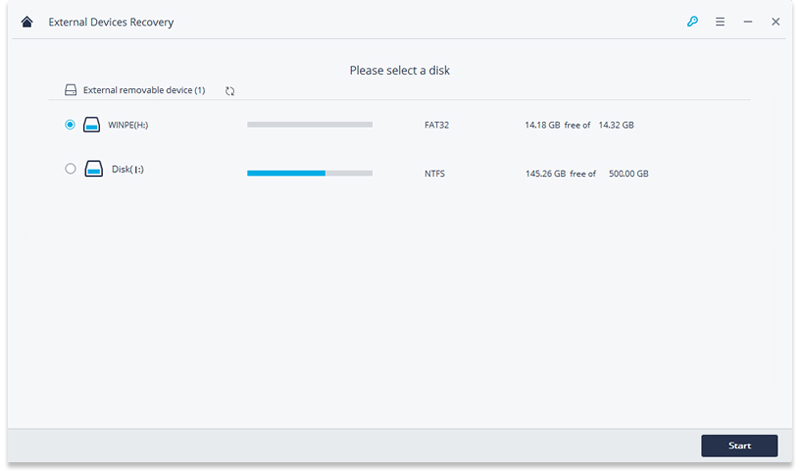 You've got a good chance to recover deleted files from phone. When you give a "delete" command on your phone, you're only marking the area of the SD card that held your lost photos "blank", in other words, reserved for new photos/data to overwrite the old. This means, as long as you haven't saved any new files to the SD card after the loss, you can recover deleted photos from Windows phone 7 and 8 SD card with phone picture recovery software. Before doing anything else, find a Windows phone 7 picture recovery tool first. If you have no idea, here's my recommendation: Recoverit Phone Picture Recovery is a professional and intuitive mobile phone photo recovery program. It enables you to recover deleted photos, videos and music from Android phone, including your Windows 7/8 phone, as well as other cell phones like HTC, Samsung, LG, BlackBerry, Motorola and more. 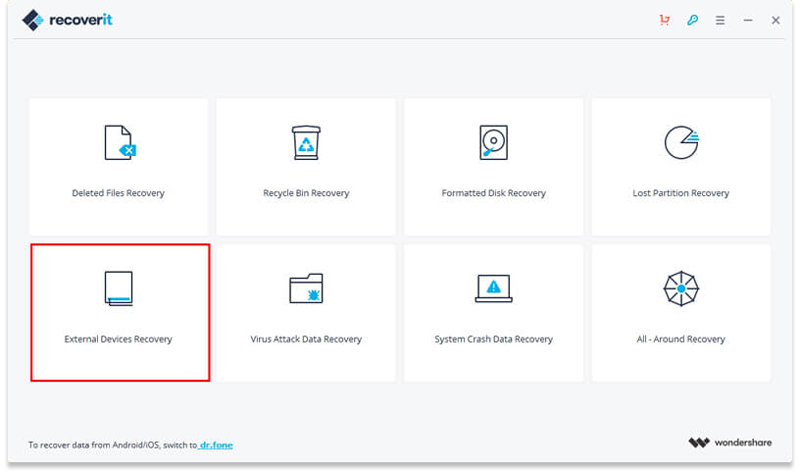 You can complete the whole recovery task in 3 steps without any hassle. Note: The phone picture recovery program isn't designed to recover deleted photos from iPhone or phones without SD card. 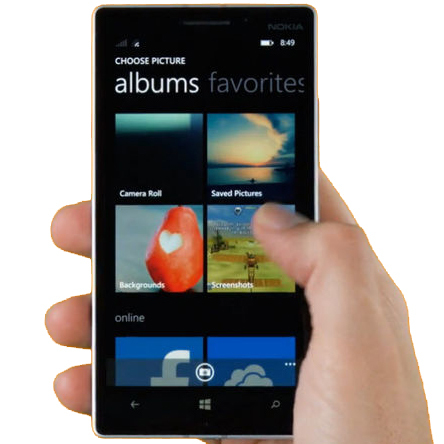 Recover lost or deleted files, photos, audio, music, emails from Windows phone 7/8 effectively, safely and completely. How can I find my deleted photos? For those who ask this question, the following guideline can be the referrence, which provides the complete solution about how to undelete Windows phone photos in 4 simple steps. Wonder how to retrieve deleted photos from phone? Watch the below video and you can completely learn the process of mobile deleted photo recovery. Follow the next simple solution to perform Windows phone photo recovery. Here, we start it with Recoverit for Windows. Mac users can download the Mac version and seek for solution from this page: Android Photo Recovery on Mac. To recover deleted photos from Windows Phone, you can select the option of "External Devices Recovery" to get started. Make sure your Windows phone or SD card has connected to the computer, and then click "Next" button to process. You can directly connect your Windows Phone 7 to the computer with a digital cable, or take out of the SD card and connect it with a card reader. Here, your Windows phone or SD card will be detected and appear. Choose it and click "Start" to find deleted photos on it. • Recoverit Phone Picture Recovery will start a quick scan on your Windows phone 7/8 to search for all deleted photos. 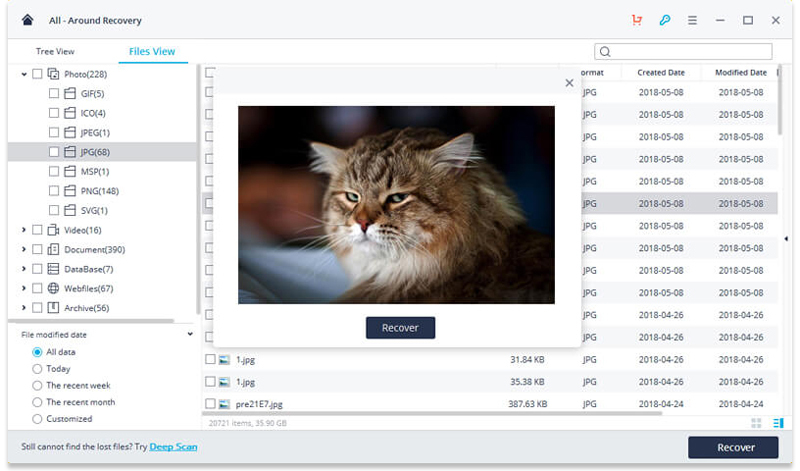 • If quick scan can't find your deleted photos, you can go to scan again with "All-Around Recovery" mode which will search for more deleted files. 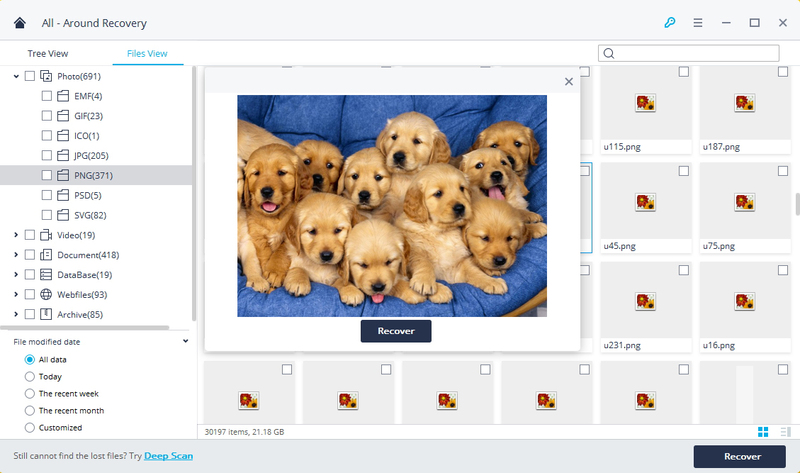 • After the scan, you can preview all the photos and check the quality before you recover the lost images. 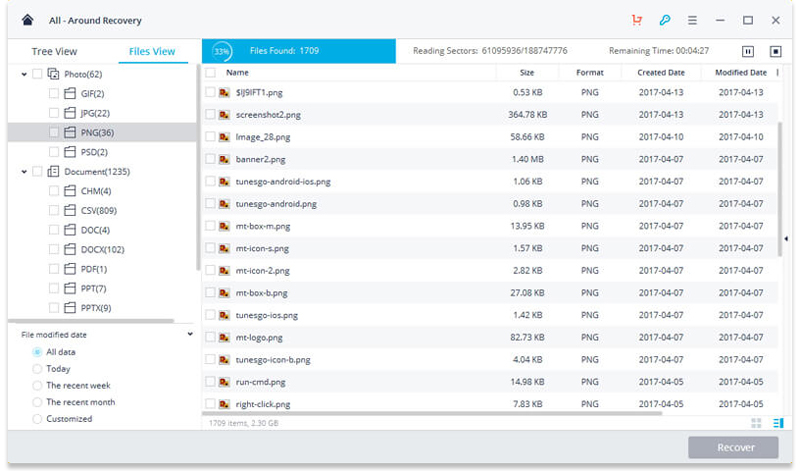 • Then mark those files you want and click "Recover" to save them on your computer with one click. Note: Don't save the recovered data on Windows phone 7/8 or the memory card again. Find another place for them like on your computer or other external disk. Otherwise, you may overwrite the data.